COFFS COAST (NSW) – World champion Sebastien Ogier of France left it until the very last to pinch a tiny lead at the head a Volkswagen 1-2-3 after day one of Coates Hire Rally Australia today. Ogier inched past teammate Jari-Matti Latvala by just 0.4 seconds on the day’s eighth and final test, the second pass through the Hyundai Super Special Stage. The Finnish ace Latvala in turn was a further 3.1 sec ahead of Andreas Mikkelsen of Norway, putting the German team in a promising early position to secure the mere five points it needs to secure the World Rally Championship for Manufacturers on this 10th round of the WRC season. Overall, the first five cars were covered by only 7.9 seconds after eight tests and almost 96 kms of competition around the picturesque Bellingen area just south of the Hi-Tec Oils Service Park at Coffs Harbour. Following Mikkelsen were Northern Irishman Kris Meeke, who led in his Citroen through stages three to six, and three-time Australia winner Mikko Hirvonen of Finland, driving for the M-Sport Ford team. Ogier won the first two stages of the rally and Latvala the seventh. Ogier’s position overnight should give him an extra advantage when the rally resumes at 8.18am tomorrow. He was unhappy about rally regulations that required him as championship leader to start first on the road today – and therefore be the “sweeper’” of the loose gravel surface for his following rivals – but tomorrow the order of the leading group will be reversed and he’ll start 9th on a surface that should be faster. The Frenchman has put behind him the memory of crashing out of Rally Germany last month without points, but is desperate to take the maximum score here and stretch his 44-point lead over Latvala. The three Volkswagen drivers are the only ones still with chances to secure the drivers’ title. Fans will greet Australia’s Chris Atkinson as the first car on the stages tomorrow, albeit in the sweeper role. Atkinson had a steady day in his return to the factory Hyundai Shell World Rally Team, finishing 11th, 41sec off the lead and third of the Hyundai team after losing more than a minute in Newry II. His Hyundai i20 WRC trailed its sump guard all afternoon and the rear began to handle awkwardly midway through the test. “We’ve had a bit of a difficult first day but it’s great to be taking part in my home rally with the team,” Atkinson said. “The first stage went well and I was up there with the regulars, but I lost time in the second stage and struggled with a lack of confidence in the third, which is crucial on these stages. Team leader and Germany winner Thierry Neuville fared only one place better than Atkinson. He dropped five places and almost two minutes after breaking his suspension. New Zealander Hayden Paddon was the best performer for Hyundai, in sixth, just ahead of a lacklustre Mads Østberg, who replaced the rear differential on his Citroen DS3 at lunchtime service. Formula 1 grand prix winner Robert Kubica of Poland held eighth, despite an opening-stage spin, ahead of Elfyn Evans, who dropped time after stalling at a hairpin in SS2. 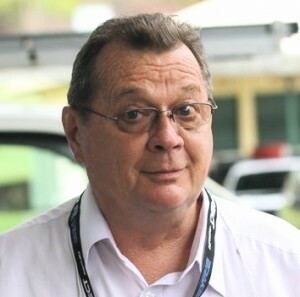 Paddon declared he and co-driver John Kennard had enjoyed “a decent day”, although he was one of the drivers who encountered a large kangaroo on the Newry course. “The car has been faultless in all stages and, although we’ve had a few distractions at times, we’ve been in good shape,” he said. “This morning, the conditions were a bit softer and sandier than expected, but we eased ourselves into the rally. Tomorrow’s second leg covers two loops of two stages, each loop starting with the monster 48.92km Nambucca test. A repeat of the two short stages in Coffs Harbour closes the day after 118.88km of action. The final stage will see the conclusion of the ARMOR ALL Shootout, awarded to the WRC driver with the fastest aggregate time over two nights on the Super Special. Tickets for Coates Hire Rally Australia and the Pedders Suspension Coffs Coast 400 partner event are available at gates at spectator points or before boarding the free Michelin Shuttle bus service at the international stadium. The Michelin Shuttle will take spectators to the East Coast Bullbars Rally Village on the Valla stage. Full event details including spectator maps and directions, Rally Village free Michelin Shuttle bus times and entry lists also are available on the event website.